To access Payroll in Xero, go to the home dashboard and click on Payroll. The welcome screen will appear. In Settings, click General Settings, then Payroll Settings, and then the General tab. 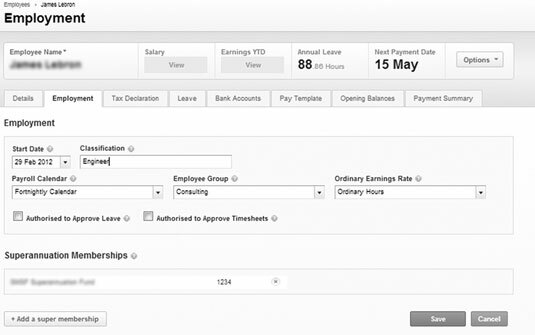 The Payroll Settings: General window will open. Select the employee you wish to add details for by clicking on the name and then click on the Employment tab. On the +Add Earnings Line button, select from the drop-down list then select from the Calculation Type options. Click OK to save the added Earnings Pay Item. 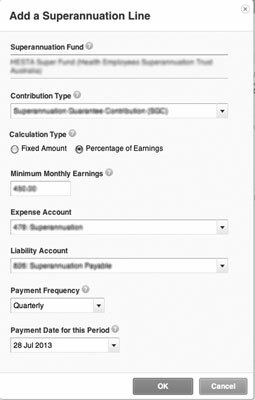 Click on the +Add Superannuation Line button, select from the drop-down options at the Payment Frequency field, and click on the drop-down arrow at the Payment Date field. When the calendar opens, select the required date and click OK.
Once you click the +Add Pay Run button, choose a payroll calendar from the Select a Pay Period drop-down option. Click the green Next button and the Pay Run window will open. Employees can log on to their employee portable via the normal login screen using their login details. 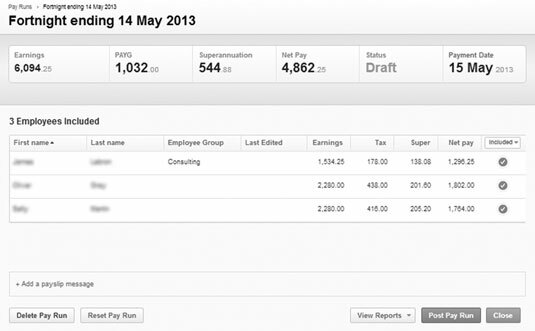 The dashboard is called My Payroll and from here employees can access their own personal payroll information. On the My Payroll dashboard, click the Overview tab and click the blue Apply for Leave button. 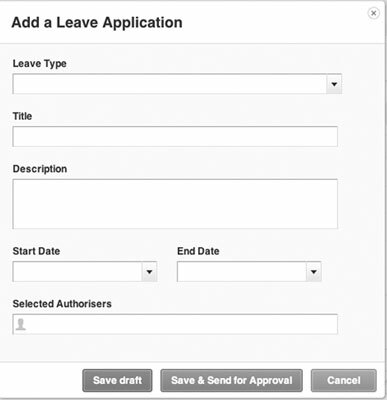 The Add a Leave Application form opens. 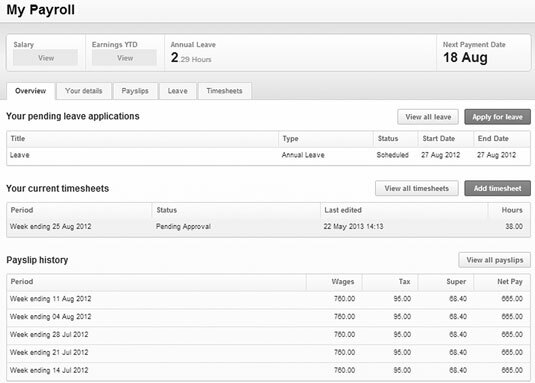 On the My Payroll dashboard, click the Overview tab. To add a timesheet, click the blue Add Timesheet button and the Add Timesheet form opens.